Description: Our 2015 Jewish Holy Day schedule includes 26 Jewish holy days, holidays, and festivals. A complete list of the holy days can be viewed here. 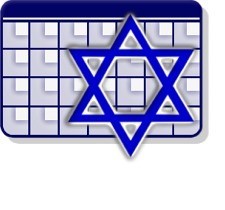 Each event on our calendar includes an English translation of the holiday, information regarding the Hebrew calendar date, and any work restrictions.